APRIL 1: ‘Fortune favours the brave’ as Shakespeare once said, or if he didn’t he should have. We certainly were not favoured today as it rained throughout our pre-season training and I was left to reflect on the circumstances that had made me captain. 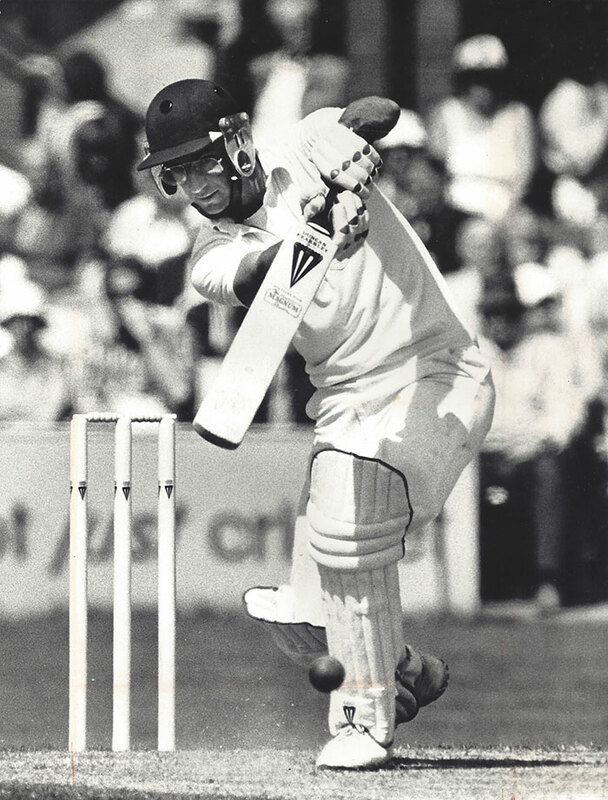 How well I remembered the chairman offering me the job, while saying that I had all the qualities of past England captains – the looks of M. J. K. Smith, the batting of Mike Brearley, the fielding of Keith Fletcher and the tactical appreciation of Bob Willis. Of course, I had no hesitation in accepting – it would provide me with enough material for at least 10 books. APRIL 20: Most of the lads had a bet on us winning the Championship but I thought that the odds were a bit stingy at 100-1. Mind you, I look at our young talent and see names like Bail, Harden, Ferguson, Booth, Coombs … and I wonder if it’s too late to resign. Our first test will come tomorrow in our match against Middlesex. APRIL 21: I think it was Milton who said, ‘It’s not much cop bowling half volleys at Test batsmen’ and how right he was, as we found out today. But I think we won the tactical advantage when they failed by two runs to reach their target of 500. The Press were there to see how I’d handle ‘Both’ and I think I did pretty well, taking him off as soon as he told me to. As a sign of goodwill, he even lets me call him Sir now, as he considers Your Royal Highness too formal. APRIL 25: As expected we went down by an innings but at least we made a fight of it. ‘Both’ made 150 and I carried my bat for 18. Naturally it was frustrating seeing Daniel bowl a succession of full tosses at one end, while I had to face the penetrative yorkers of Mike Gatting, but I was encouraged by edging my first boundary for seven years (although I think the fielder might have helped it over the line). We’re expected to drive up from Taunton to Weston-super-Mare tonight for yet another match tomorrow, our second of the season. With so much cricket is it any wonder that our team is stale already? APRIL 24: Viv and Big Joel came back from the West Indies today and immediately had us rolling about with laughter. “Hello” they said, completely spontaneously. It could have been the look on their faces as they said it – I think you’d describe it as the ‘If you don’t laugh we’ll tear you to pieces’ look. Anyway, it’s good to have them back, as they’re worth at least a chapter each. Meanwhile, the day’s play was rained off, leaving us bored and frustrated. How are we expected to develop any kind of rhythm when we don’t play enough cricket? APRIL 25: My world caved in around me today when I was dismissed for nought for only the 78th time in my career. What made it worse was that the selectors were watching me. OK, they were really there to check on ‘Both’ but as I was batting they must have been looking at me at the time! At least Vic cheered me up by speaking to me for the first time since he had been passed over for the captaincy. I think his exact words were “God, I hate you”. APRIL 26: We actually Won! Viv scored a magnificent 200 and Big Joel took 16 wickets to show that our emphasis on home-grown talent has finally paid off. Not only that, but the selectors seemed to be impressed by my two-hour 20 – they were contemplating it carefully, with their eyes closed. APRIL 27: Today’s break allowed me the opportunity to question Viv closely about what makes him such a great player. I asked whether he saw his battle against the bowler as symbolic of the coloured peoples’ struggle against prejudice and discrimination. “No”, he replied. A man of few words is Viv. MAY 24: Who’d have thought that I would win the Man of Match award for England, in the first one-day international of the season? I only played at the last moment, when the Indian team, beset by injuries, called me into their side, on the grounds that my grandmother had a weak spot for curry (who hasn’t?). I was determined not to bat rashly, as I had done once when I was two, but to play myself in slowly and cautiously. 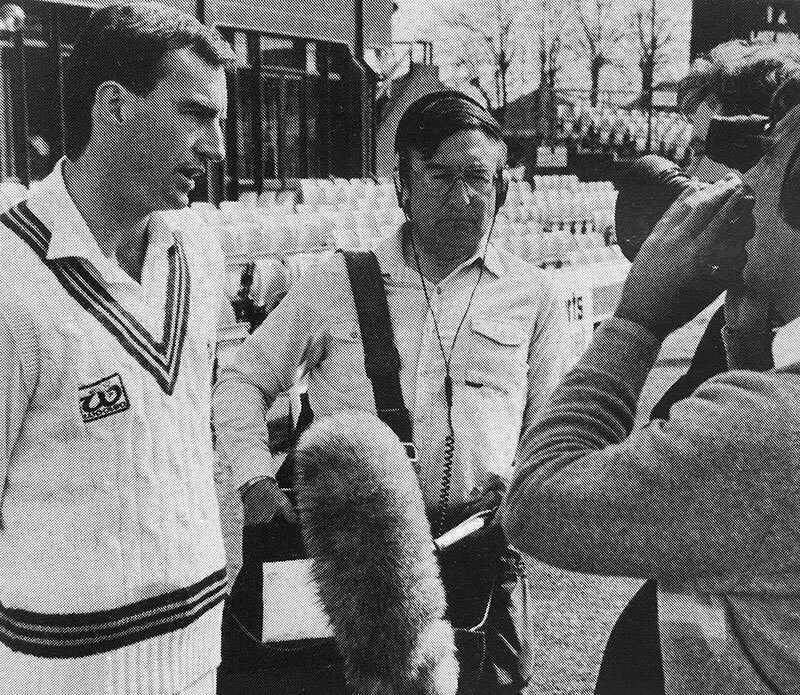 Unfortunately, I had just got into double figures and was considering running some quick singles, when the umpire told us our 60 overs were up. The England team soon overtook our paltry total but I was honoured when the adjudicator announced that I had made the greatest contribution to their success and so deserved the MOM award. At last I can look at the great players in my team as equals.